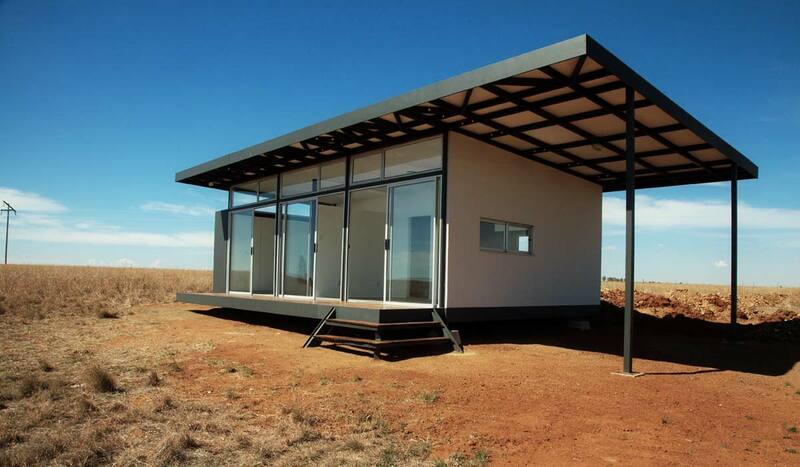 A compact studio apartment designed for a young farmer. 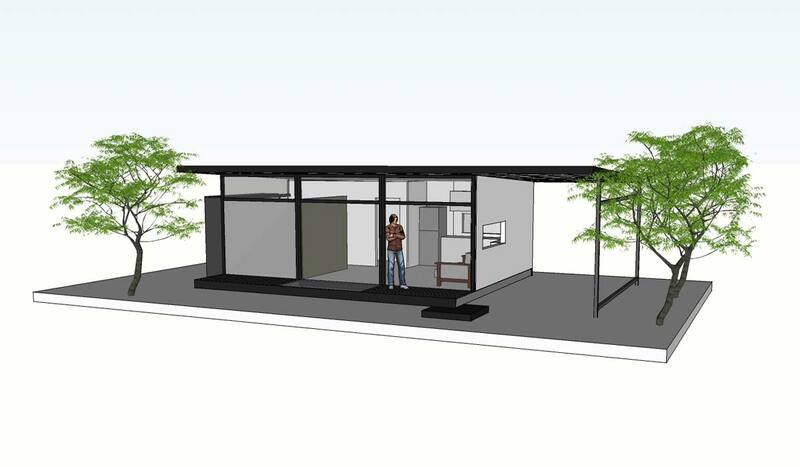 The structure has an open plan layout with a bedroom screened from the rest of the house by a custom made built in cupboard. 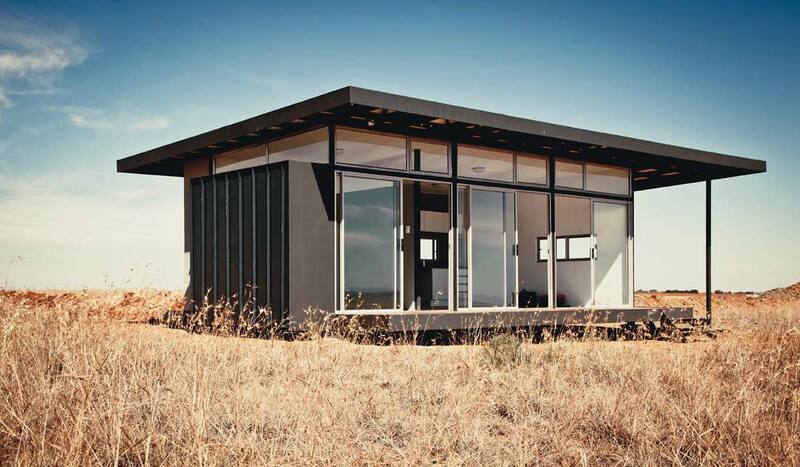 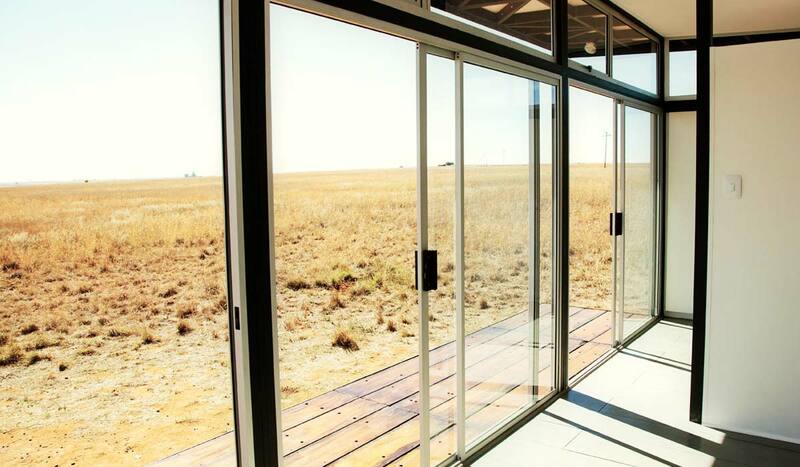 The space opens out onto a deck that overlooks the grassland of a cattle farm in the Free State.